This diary was originally written in July 2014. This is the last part describing the roadtrip across one of the greenest countries in the world, Norway. Around 40 hours left in the country – this time our final destination was Rygge airport. 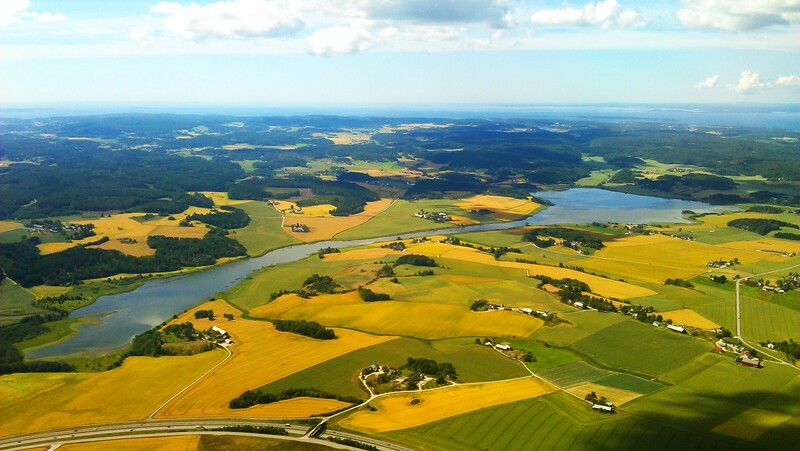 I must admit I truly enjoyed the road from Hornindal to Oslo, everything is either green or yellow – so bright and lovely! When in Norway, you must not miss ski jumping hills. So first stop: Lillehammer. A cute city, where we grabbed something to eat and drove to the ski jump at Lysgårdsbakkene. 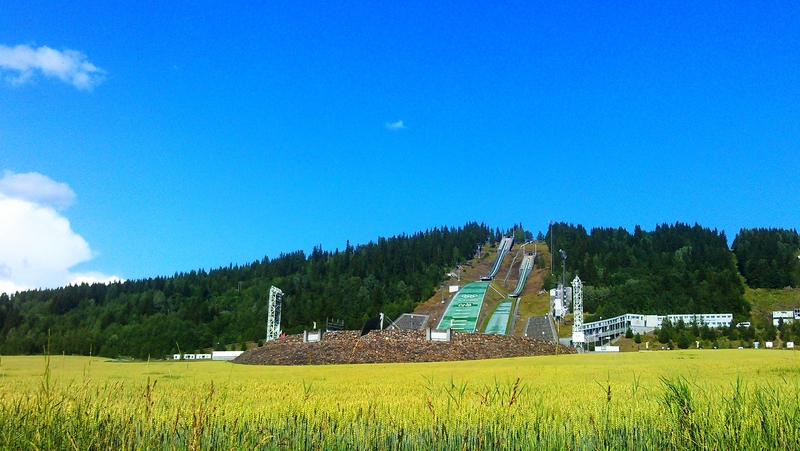 This ski jumping hill consists of a large hill and a small hill, as you can see in the photo. It opened in 1993 for the 1994 Winter Olympics, where it hosted the ski jumping and Nordic combined events, as well as the opening and closing ceremonies. After the Olympics, ownership was transferred to the municipal Lillehammer Olympiapark and it has since been used for several FIS Ski Jumping World Cup and FIS Nordic Combined World Cup tournaments, including hosting the Nordic Tournament. It has a capacity for 35,000 spectators and is one of three national ski jumping hills in Norway. This diary was originally written in July 2014. 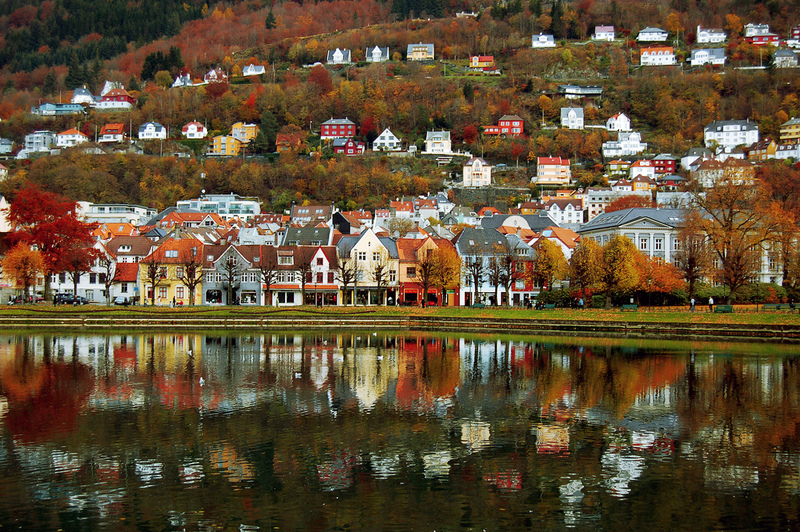 Over the next couple of days, I’ll be taking you with me to one of the greenest countries in the world, Norway. The road ahead seemed to be never-ending. 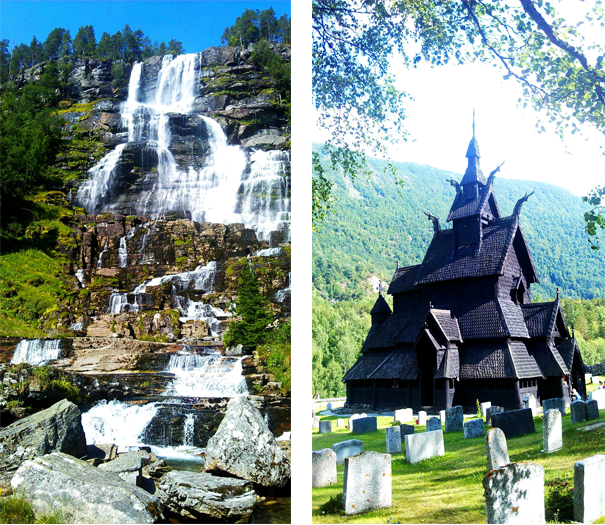 On our way to Hornindal, we stopped at 3 places: Nærøyfjord, Tvindefossen (or Tvinde Waterfall) and Borgund stave church. Tvinde actually means “twin waterfall” and it refers to the waterwall being formed by the water from two rivers merging. If you missed part one, click here to read it. Are you ready? 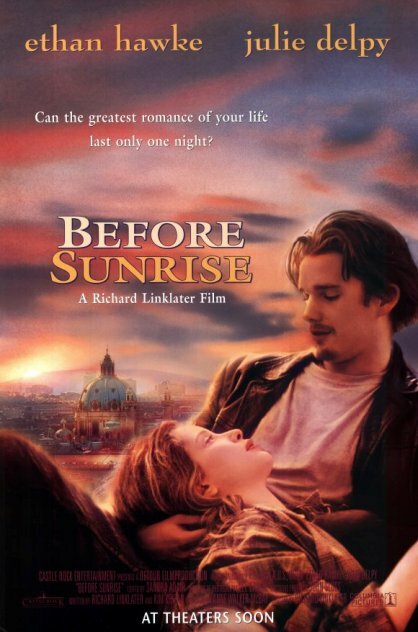 Alright, let’s begin. The road trip started at Rygge, 45 min drive from Oslo. Just before the plane landed, I had a chance to capture some of the most sunning scenery. It looked majestic!